Fiat Brand North America and Vans are expanding their partnership this year to include activities during the Vans Triple Crown of Surfing in Hawaii and the Los Angeles Auto Show. as well as global webcast viewers, the opportunity to guess how many pairs are inside the vehicle. 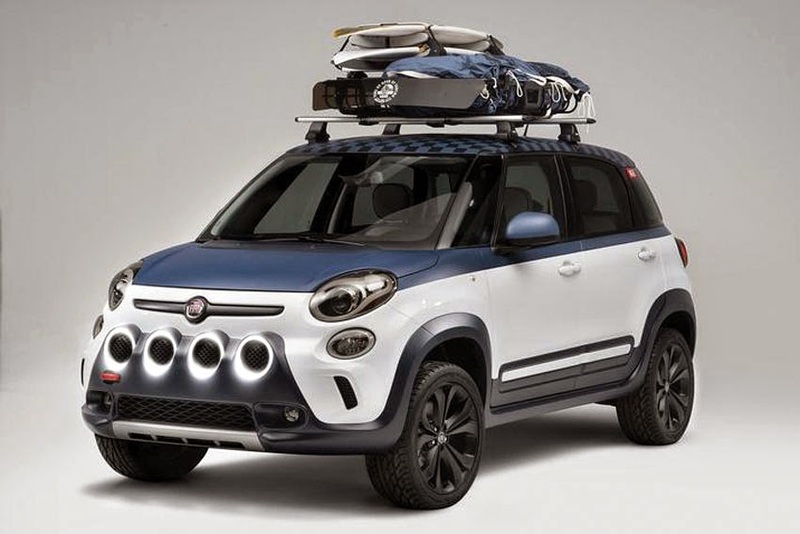 The Fiat 500L will then move to the beach during the Vans World Cup of Surfing on Sunset Beach on November 24, 2014 where it will remain until December 6, 2014. The winner will receive a Mark Richards custom shaped surfboard, as well as Vans for one year (12 pairs of shoes). Mark Richards won the first contest at Sunset Beach 40 years ago. "We are truly excited to expand our partnership with Vans in various events across the country," said Jason Stoicevich, Head of Fiat Brand North America, Chrysler Group LLC. "Similarly to Vans, our customers celebrate fun, personality and doing what they love. The Fiat brand enables self-expression, and we look forward to discovering new ways to further collaborate with Vans."